Fingertip skateboard necklace SOLO X CPTN HOOK. 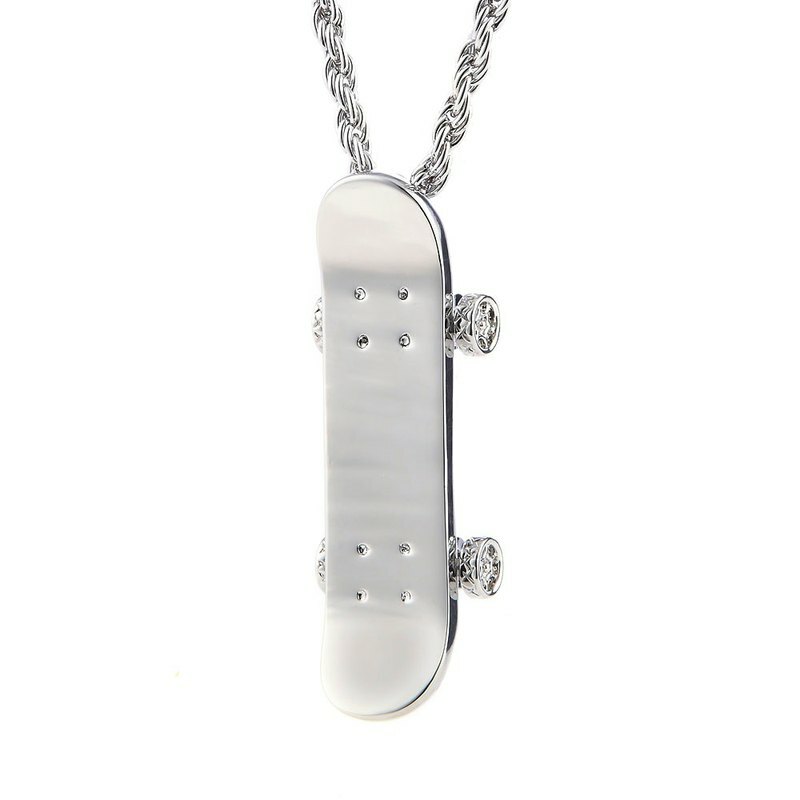 SKATEBOARD NECKLACE Product specifications: Chain length - 64 cm Fall length - 5 cm Material - Brass Price - NT$1280 Product desciption: Imagined the fingertip skateboard that used to be a smash hit on the skateboarding circle. Modify the overall scale to fit the size of the necklace The secondary fine polishing process achieves a mirror finish on the surface Reserve space on the ring to take the twist chain Smooth front and rear wheels and special weight Not only jewelry, but also the most fashionable gadgets. X-FINGERS https://3.bp.blogspot.com/-JwxYypa6xLw/WzCmi06GcPI/AAAAAAAACsw/TIetfHCUUHgarjR_EoB9wqSL2QViPd36QCLcBGAs/s1600/%25E5%258C%2585%25E8%25A3%259D.jpg Product bonus: Brand bag / magnetic buckle storage box / wipe square / brand guarantee card https://1.bp.blogspot.com/-9xQbwMfpCSI/WytOxeztsuI/AAAAAAAACsc/xs8Ayb1GkZ4-lb-cY1Y4Z3MmZ022dV2HQCLcBGAs/s1600/%25E4%25BF%259D%25E5%258D%25A1.jpg Product warranty: To promote popular accessory culture and a better online shopping experience Each product has a free modification size and non-human guarantee after sale. Scan the QR CODE on the back of the guarantee card to join the customer service group We will serve you right away (9:00 - 21:00) Groups also do not hold exclusive promotions on a regular basis.